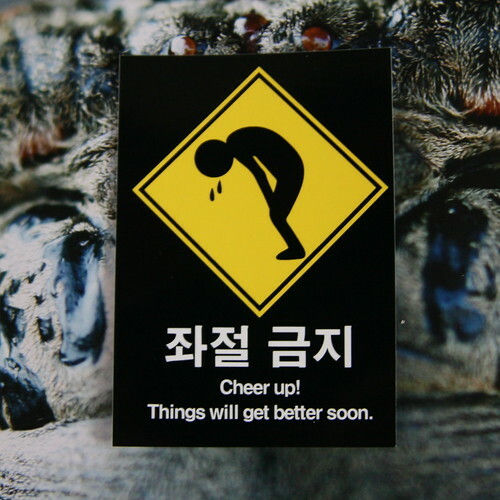 좌절 금지 means "Breakdown/Collapse/Depression is Prohibited." What is that sticker stuck to? A spider's face? I think that's either tears or sweats! It's on top of a extreme close up of a cicada.